t's been a long time since I went to a new restaurant where I had a good feed. It's a very Northern Irish thing to want to go somewhere and leave stuffed but it is our way. I was recently asked to come and review the Bull & Ram in Ballynahinch. I live about 45 minutes away so despite the jaunt, I jumped at the chance as they had just won three YES restaurant awards plus had an outstanding review from Jay Rayner in The Guardian. Two things sold me before I visited - the mention of the interiors and the steaks. 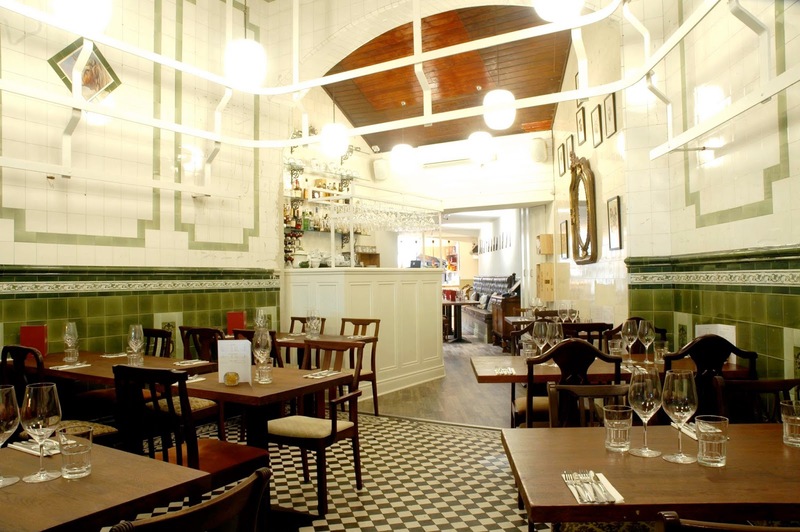 The Bull & Ram is located in what used to be an old butchers - the tiles depict farm animals and the stunning high ceiling looks so modern (but it actually is the original ceiling that they found behind 2 false ceilings!). The restaurant has massive big shop front windows that wouldn't look out of place in any cosmopolitan city. I wanted to go to try out their steaks, sourced from Hannan's meats in Moira. In fact, most of their menu is locally sourced. I'm a huge steak fan - no matter where I go in the world I will always try a steak. I've come to the conclusion that we do have the best meat in the world in Northern Ireland - nothing on foreign soil ever tastes as good as our stunning home produce. I visited the Bull & Ram on a busy Friday evening with my friends. The restaurant is cosy, seating just 70 covers. I would recommend booking if you fancy making the journey down like me. There were couples, groups of friends and people of every age enjoying the atmosphere. They also have an extremely extensive wine list that also includes artisan wines hand picked by their amazing team. The Bull & Ram is headed up by Kealan McMichael. 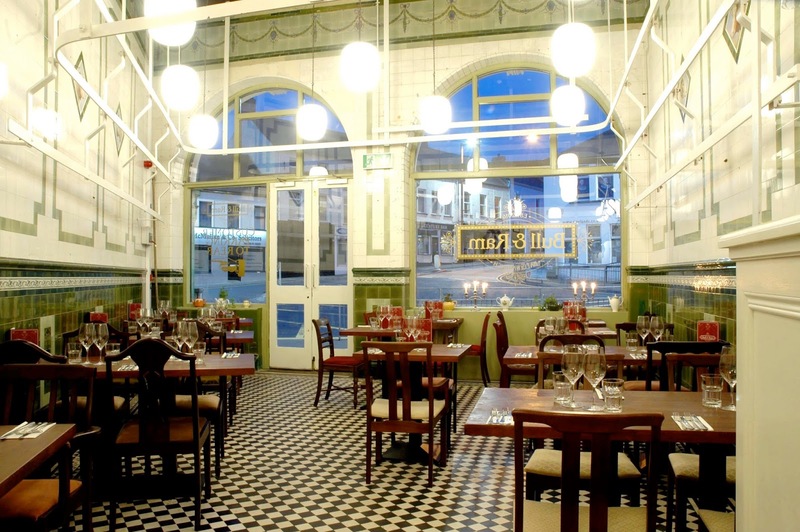 He has worked extensively in kitchens across Northern Ireland including the much loved Poacher's Pocket. His choice of location & building seems to perfectly match the beautifully selected menu on offer. The menu is so good that I had quite a time actually picking from it! The menu isn't huge or complicated - everything just sounded so good! They also have a list of daily specials based on what is in season - duck and mushroom were the call for October. Based on another review I read, I picked the French Onion soup. I'm a bit of a French Onion soup connoisseur - it is something so simple that SO many places seem to get wrong very easily. The best soup I ever had was in the Bellagio Hotel in Las Vegas... that was until I went to the Bull & Ram. BEST FRENCH ONION SOUP... in the world! It was so satisfying and homely. My friend had mushroom soup (which she said was lovely but had deep food regret after tasting my French Onion soup). For mains I chose a 40 day aged fillet steak. Fillet is always my cut of choice and it was delicious - truly living up to my belief that we have the best meat in the world. I tried both mash & the beef dripping chips. The chips were outstanding - I could quite probably eat those and the French Onion soup everyday for the rest of my life and die a happy woman. My friend is a huge fan of duck and picked a special they had on the menu which she really enjoyed. For dessert we enjoyed a range of things from ice-cream to white chocolate creme brûlée. The brûlée was incredible - it tasted like a melted milky bar without being too sweet. Another menu stand out item! The service was fab at the Bull & Ram - a really welcoming & polite team. Overall, I had a really great experience. 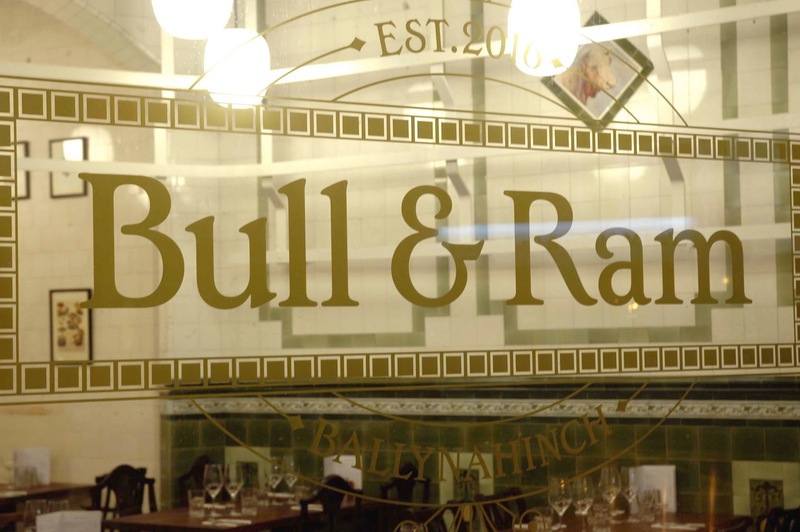 The Bull & Ram is everything you want a Northern Irish restaurant to be - delicious, value for money, filling and friendly. And the ultimate conclusion - would I drive the whole way to Balynachinch to eat at the Bull & Ram again? You bet I would..... just for the French Onion soup alone! For reservations, please ring 028 97560908. Many thanks to the team for a beautiful meal & their hospitality.